At Total Dentalcare we offer a wide range of general, cosmetic and specialist treatments to ensure the dental health of our patients, whatever their personal needs. Offering both private and NHS services (please note that Total Dentalcare Peterborough offers private treatment only), our priority is to offer the highest standards of patient care. 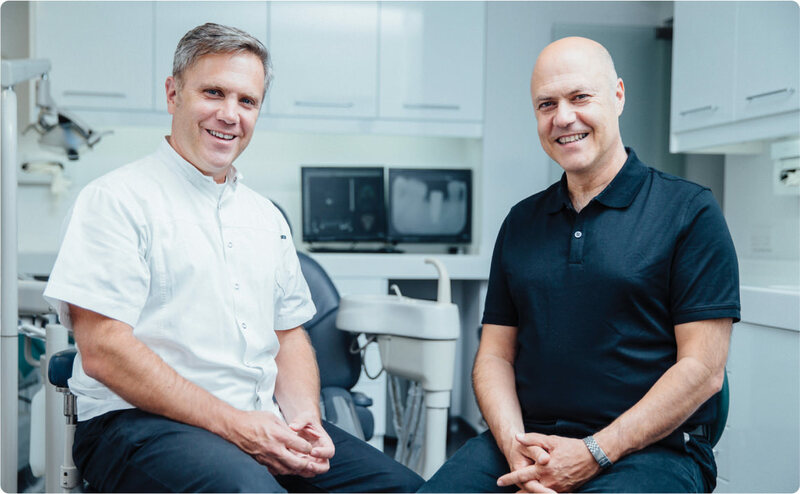 Using the most modern techniques and dental equipment, we work with our patients to offer the best dental solutions for them – whether routine check-ups, more complex treatments or creating a beautiful new smile. And, as each of our surgeries/practices is situated in the town centre, we are always convenient and easy to find – bringing local dental excellence into the heart of the community. 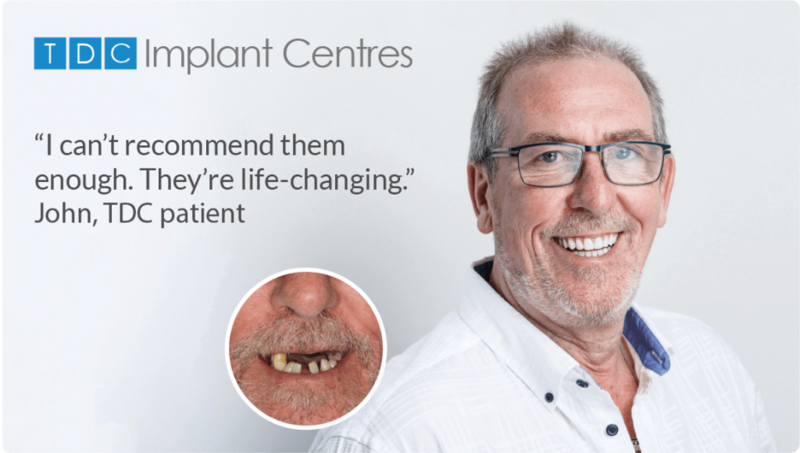 We are renowned for our award-winning TDC Smile in a Day dental implant treatment that we offer at our dedicated centres in Harley Street, Folkestone and Peterborough. The next best thing to natural teeth, it is a permanent solution for people whose well-being and self-confidence suffer due to the discomfort, inconvenience and embarrassment of dentures or loose and missing teeth. A clinically safe and proven technique, TDC Smile in a Day is less invasive than traditional implant procedures. Treatment time is significantly accelerated as a full set of implants and fixed teeth can be placed all on the same day. These are replaced around three months later with a final, permanent set of fixed teeth to ensure a perfect fit with the settled gums. We are proud of our consistently outstanding results and independently verified 5 Star patient reviews. "Very impressed with Alastair Hayes and his ability to cope with a fibromyalgia patient. This is the best treatment I've had from any medical centre in the last 6+ years." "I felt extremely relaxed and comfortable with all the staff and the outcome changed my lifestyle." "Excellent dentist - best I’ve had! Great service, both professional expertise and customer service. Have recommended to others and will continue to do so." "Staff and dentist were very caring and treated me with dignity and respect. I will always recommend this 1st class practice." "To Morne and all the team. Thank you so very much for giving me back my smile 🙂 You have done a marvellous job." "I have been at Total Dentalcare for several years now and the service I have received has always been excellent." "Friendly, well-run service. Calm and confident dentist who smiles and communicates freely." "Fantastic service. I will be recommending to all of my friends." "I have had really good care from my dentist and left feeling very positive. Glad to come back for further treatment." "Excellent service, convenient location – never had a reason to complain"
"Friendly staff and lovely service. Thank you"
"Very relaxed atmosphere. Dentist puts nervous patients at ease – when suffering extreme toothache I got an appointment straight away." "Dr Bashir is lovely – always cheerful too. All of the staff are friendly, efficient and helpful, especially if a patient needs an urgent emergency appointment." "I am more than happy to recommend this practice to others. Always courteous, prompt on time, offer new solutions but also respect my decisions. Receptionist, hygienist, dentist and nurse all lovely."